Hi, crafty friends! In case you missed the announcement last week, I want to let you know that I’ll be joining Your Next Stamp‘s Splitcoast Challenge Team in June! Supplies: patterned paper (melon – Pink Paislee; polka dot – Echo Park), stamp set (Shirley Temple Ellie – Your Next Stamp), Lacey Circles Nestabilities, cardstock (Stampin’ Up! 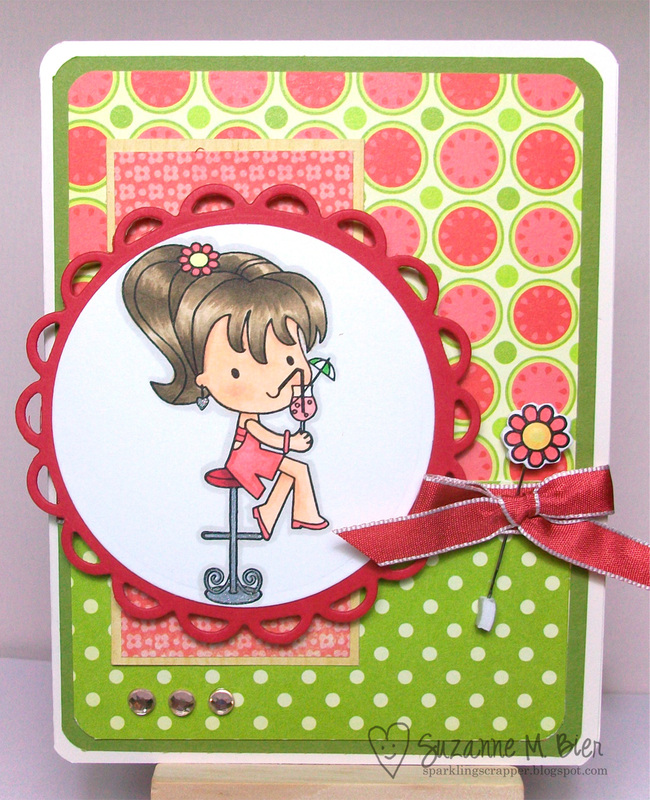 ), ribbon (Stampin’ Up! ), adhesive gems, Copic markers (hair – E42,E43, E44; skin – E00, E01, R02; clothes – R22, R21; seat – R24, R27, C4), stick pin, foam tape. Our challenges will start in June on Your Next Stamp’s Splitcoast forum…I can’t wait for you to join us for all the fun we’ll be having there! I’m so excited to be joining all these talented ladies on the team! Woot woot woot!! Looking forward to seeing all your YNS creations! congrats on the SCS DT, this is awesome…your card is super adorable! Congrats!! This is an adorable card. I can see why it's your favorite! !